Taco trucks, cactus, and flower banners galore. And a margarita machine for the parents too. 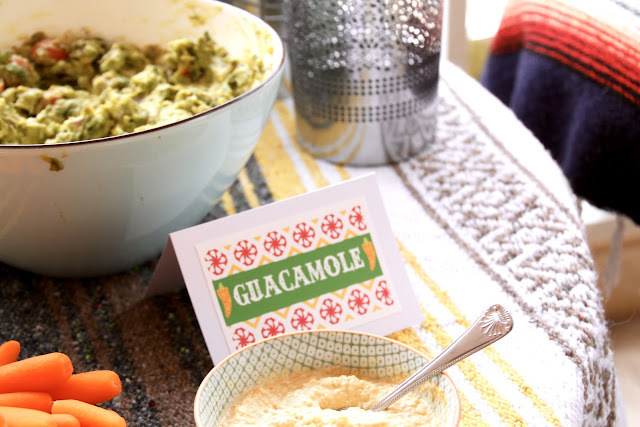 What else could you need for an awesome Cinco De Mayo Party? 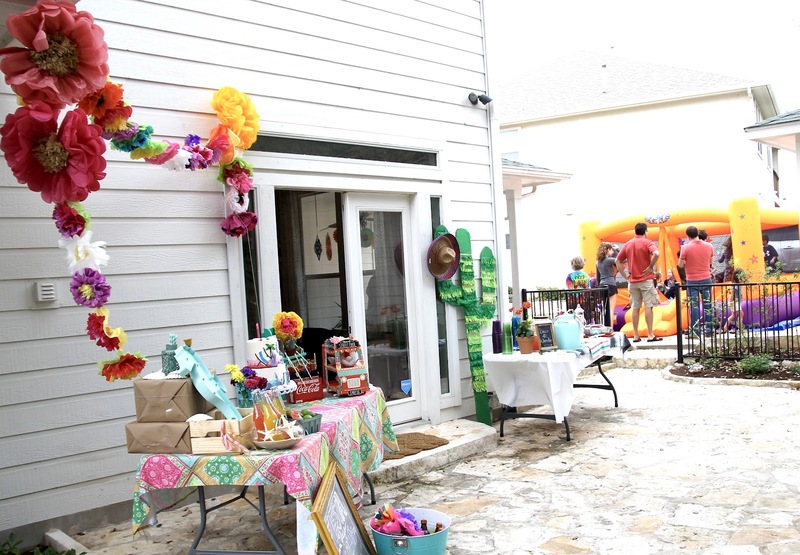 Well, it was actually a Cinco de Nandini of course. She may be five but she is still 100% our baby. The set up | After coming up with our color scheme I added as many fun details as I could. 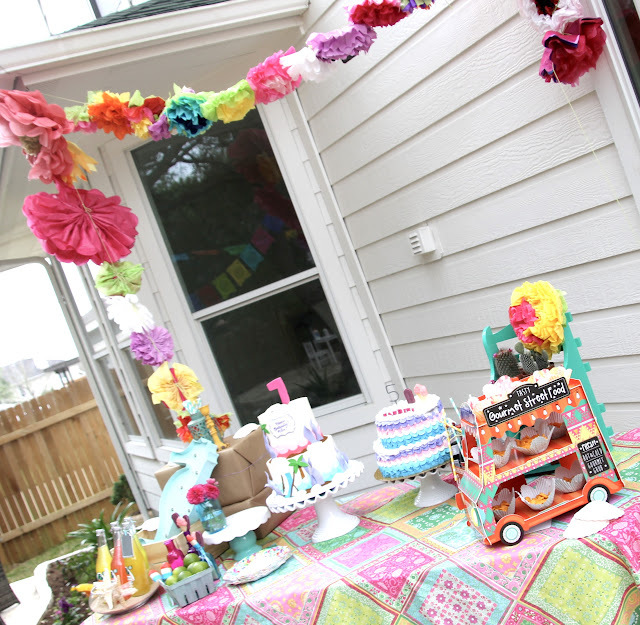 We used colorful table clothes. I purchased fabric that I can use again for other projects and borrowed some Mexican Yoga Blankets. I bought tiny little cacti to place on the cake table. I tried to corral them on a shelf so kids wouldn't touch! I filled up glass apothecary jars with chicles I got at fiesta. 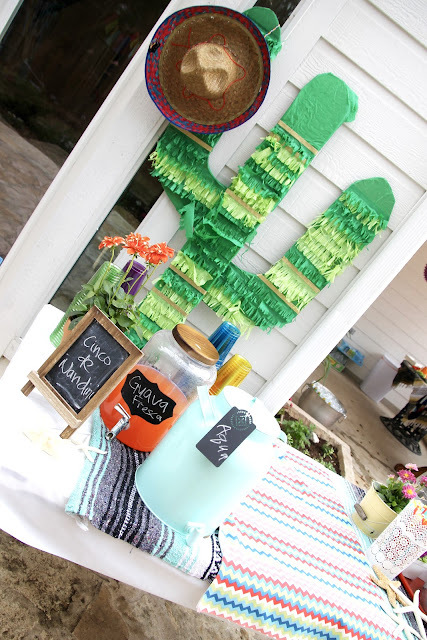 The dollar spot had the perfect Mexican-themed little pails to use for party favors. We filled them with maracas and little beach balls. I spotted this foldable taco truck on-line and had to get it for the party. Bottles of Jarrito and berry baskets of limes made for good table decor. I added sand and shells to tie in to our beach theme. I picked up this marquee seahorse from Target's awesome new Pillowfort collection (my fave!). 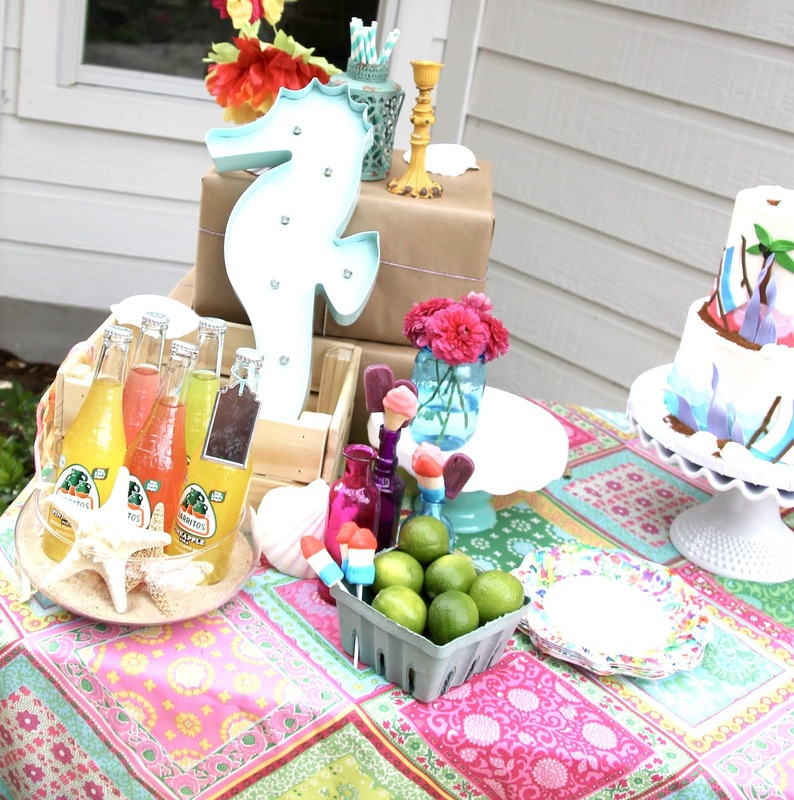 Love how it tied in with our seahorse piñata too. I used a combo of Martha Stewart flower kits and tissue paper to make this pom-pom flower garland. It added so much texture and color to the cake table. So happy with how this turned out. Cactus DIY | I had to have some more cactus as well. And fringe. Fringe makes everything better. I cut out the cactus shape from some more big cardboard boxes. I freehanded traced the shape in pencil and then cut around it. Cardboard isn't the easiest to cut, but because I was covering the whole thing in fringe a few jagged edges didn't matter. I cut many long strips of forest green and chartreuse green tissue paper to use. I used spray-on glue on the cardboard and started adding my strips of fringe. I just ripped the strips to fit across and folded the extra around the back. I used gold glitter washi to add some extra sparkle to it. 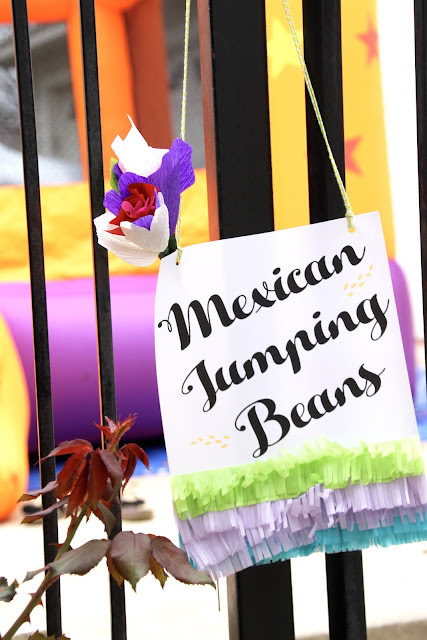 The Activities | We had a bounce house for the kids. This was a huge attraction. We also set up a table with seashells and paints for the kids to decorate. We tried to make a huge sandcastle for the kids to decorate. I took a huge cardboard box and then we set out glue, mod podge and buckets of sand. It didn't really look like a sand castle but the kids had so much fun with it. Of course we also had our photobooth and fun props to play with and the piñata at the end. Wow, we were busy! I also did some Mexican Sugar Skull inspired face painting. I loved the faces with flower on them, but most kids wanted to be a sugar skull cat or a sugar skull dog, ha! The Food | Yummy Mexican food of course. And this adorable veggie octopus that my friend Farya made. She is so creative. 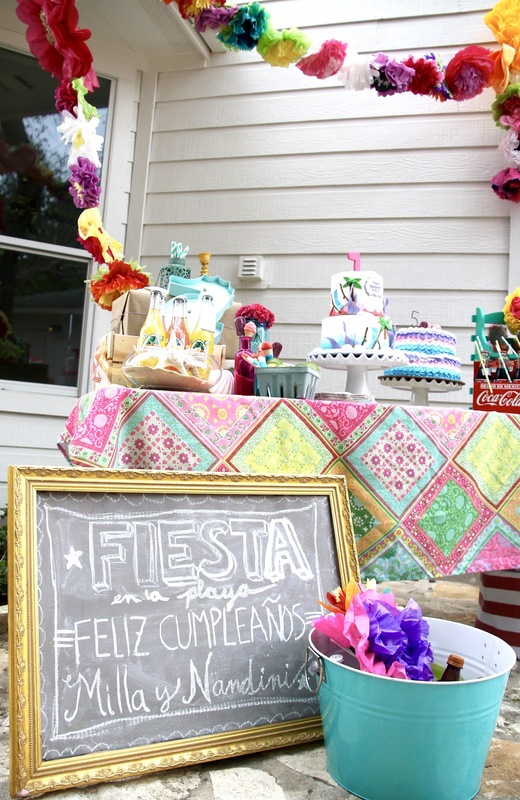 I used these Cinco de Mayo Printables which I recolored to suit our party theme. You can download them for free here. I printed them out and then pasted them onto cards so they would stay put on the tables. Happy Birthday my baby girl!! 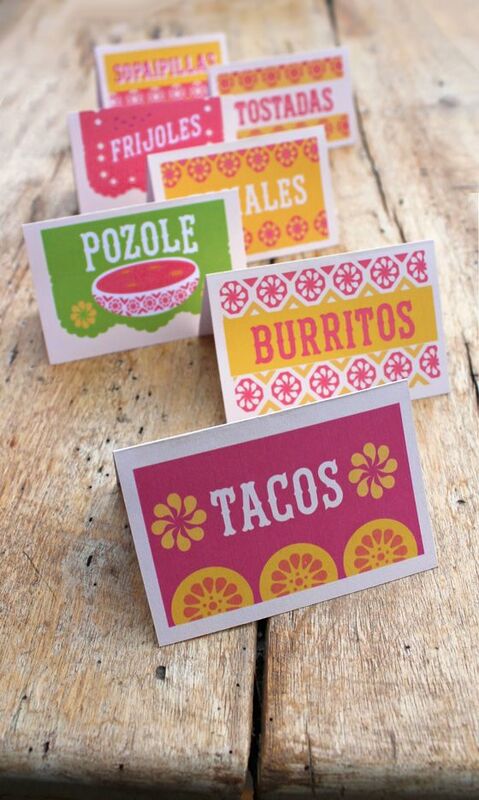 Wishing you guys a fantastic Cinco de Mayo! Hooray! See my other parties here. Fantastic cinco-de-mayo party DIY ideas! Thanks a lot for this wonderful share. I am planning a holiday party at local party venues Chicago. 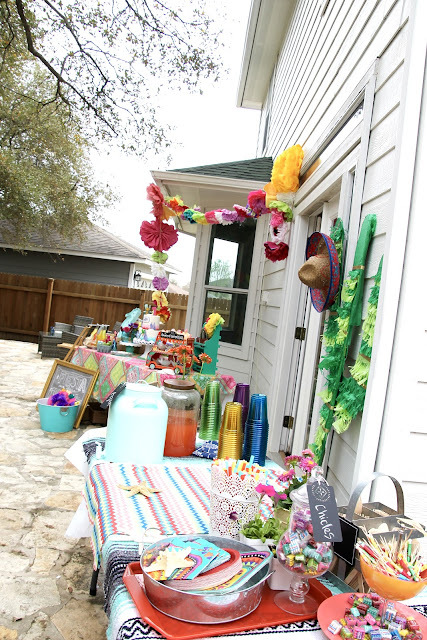 Looking for outdoor party ideas and hopefully, will be able to arrange things perfectly. Running after three crazy, precious, blessed babies, and living to scrapbook about it. Make your own personal Baby Name Poll. 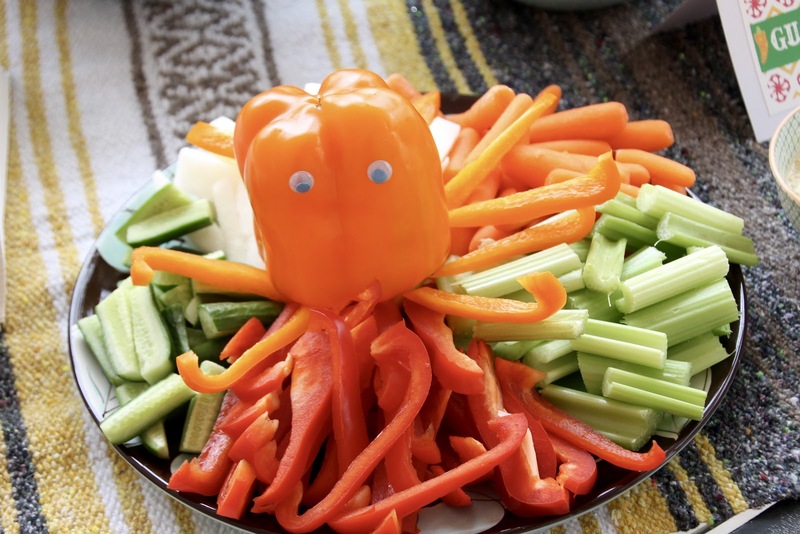 Visit Rainbow Scraps's profile on Pinterest. (C) Nirupama Kumar. Simple theme. Powered by Blogger.